This project investigates the questions of whether and in what way the “making” of artificial ruins and their subsequent preservation and restoration, presentation and communication has changed over time. Because excavating is always destructive, and hence not all historical phases of a site can be preserved, decisions are made in the course of an excavation considering: which periods are the overriding concern of the excavation, which phases are to be preserved and documented (and how thoroughly). Decisions about the presentation of the site and which aspects of a site are to be given prominence and in what form involve discussions about reconstruction. By reflecting on decisions and developments at archaeological sites from the end of the 19th century until today, the project aims to create a heightened awareness of the importance of archaeological site management in the German research community. The main focus of this project was the publication Experiences from 150 Years of Archaeological Conservation in Turkey (eds. Katharina Steudtner and Duygu Göcmen, in preparation). In four parts, this anthology presents and dissects the interconnected, systematizing view of decision-making by several actors, including archaeologists, architects, scholars of ancient architectural history / building research (Bauforschung) and engineers. The focus lies on selected archaeological sites in Asia Minor, today´s Turkey, where a representative number of sites with significant monuments, mostly from classical antiquity, is to be found. Here, the German Archaeological Institute (DAI) and in particular its Istanbul Department, have carried out research and conservation at archaeological sites since the turn of the 20th century. 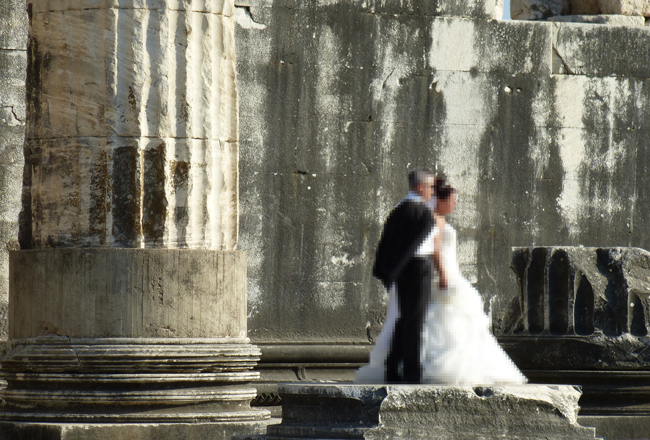 The first part of the book deals with early decision-making processes and operations from the end of the 19th century illustrated by examples from Miletus, Didyma and Pergamon. At the time, these processes implicitly involved determining the relative value assigned to specific archaeological epochs in modern archeology. Drawings, photographs and travelogues, including those by scholars commissioned by the DAI and the Berlin Museums, and necessarily the excavation findings themselves, all bear witness to this. These excavation procedures led to artificial ruins which intended to convey the state of a site in ancient times. The excavation, reconstruction and public display hastened the process of erosion, and the artificial ruins gradually became preservation concerns. As a consequence, when research began after the second World War, consciousness of the necessity of attending to the preservation of the ruins arose. The second part of the book deals with emergency interventions, initial restoration measures (particularly revisions of earlier decisions), and the commencement of steady maintenance of the objects and the entire area. Using archival sources it is possible to reconstruct decisions made during this phase. In contrast to this, those participating in the decisions made since the 1970s can be interviewed, and the resulting reflections form the third part. From this time onwards, on an international basis, reaching beyond their own individual projects, archaeologists, building historians and other participants have been discussing standardized guidelines (in particular the Venice Charter) as ways and means of preserving, reconstructing (anastylosis) and displaying the objects. 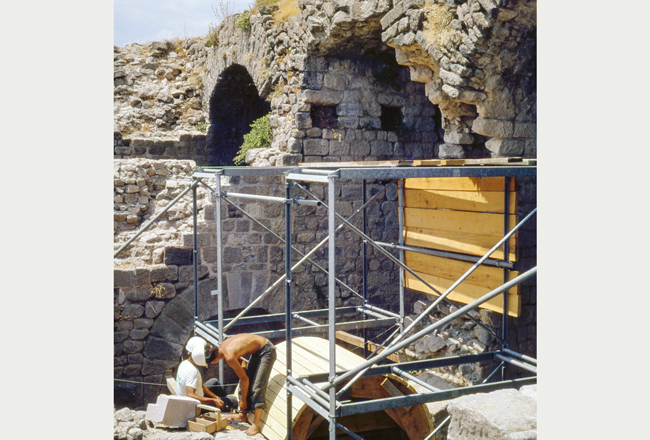 Since the end of the 1990s, the Baudenkmalkommission of the DAI, which advises all of the departments of the DAI on conservation matters, has institutionalized and enlarged the role of the Traianeumskommission formed in 1976 in Pergamon. The theme of the forth and concluding part is the overriding and long-term issue of preservation and site management, including recent and current activities, in which an increasing number of cooperation partners and decision makers in the host countries participate. Players describe the decisions they have taken in their own fields in this type of work: (1) the use of traditional or modern materials and techniques in conservation, (2) the training of local workers, (3) settlement forms compatible with the preservation of the ruins, (4) the adaptation of earlier systems of paths, and (5) the integration of experimental archaeology. Results of the project were presented at international conferences and various parts of the project figured prominently in congresses and colloquiums among other things in cooperation with the German UNESCO Commission, in the German National Committee of ICOMOS, in the Archaeological Heritage Network, and the Istanbul Department of DAI. Beyond that the project´s work has been discussed in the media. In addition, themes of the research project were integrated into university teaching, having also become components of interdisciplinary discussions in the cluster.